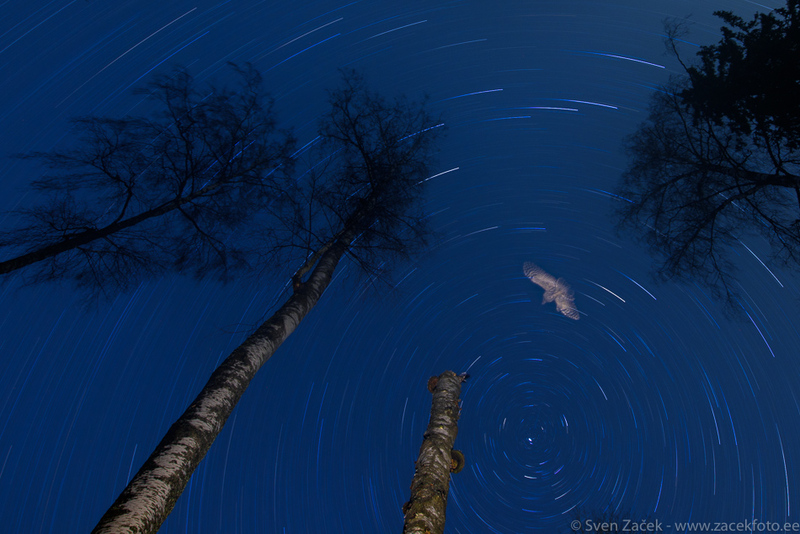 Ural owl in its environment – under the starlit sky. Photo info - Spring: Nikon D810A + Nikkor 14-24mm F28 @ 14mm. F8 4286s ISO 250.